Maybe Hulu is right to block Boxee? If I may, I’d like to play devil’s advocate to something I wrote a few days ago. To quickly summarize, Boxee took issue with NBCU’s Jeff Zucker’s characterization that Boxee was some sort of rogue piece of software, and that Hulu is in the right whenever it blocks access to the XBMC-derived media player. 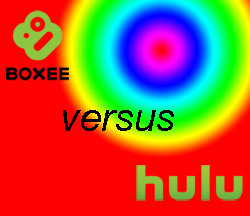 How about this: maybe Hulu is right to block Boxee? Let’s see where this takes us. Boxee’s main contention is that, in watching Hulu, it’s no different than typing www.hulu .com into your Firefox or Internet Explorer address bar. 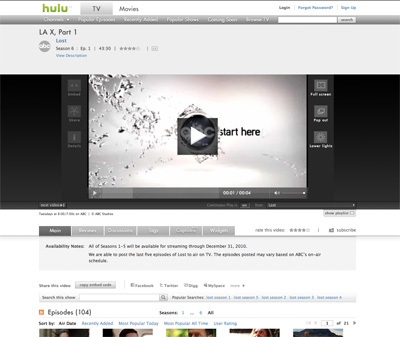 To be slightly more accurate, it’d be like clicking on a bookmark: you don’t type in www.hulu.com when you load up Boxee, but click a UI element. So right there things are a little different. Then there’s what I’m going to call the experience, for lack of a better term. TV studios may be happy to provide content to Hulu, but they know that the idea of sitting in front of a smallish laptop isn’t an ideal way to watch TV. It’s almost like they’re fine with providing content to a service that can never really replicate the “experience” of watching TV: sitting on a big, comfy couch in front of a 50-inch HDTV. With Boxee, you’re circumventing the inconvenience, so to speak, of watching on a clunky laptop by outputting the image, thanks to your Boxee box (in the future, of course; I know the box isn’t available now), onto your big TV, complete with Bluetooth remote control. You’ve essentially replicated the “normal” TV watching “experience,” which may not be what the studios signed up for in the first place. The ol’ switcheroo. That said, yes, I know you can connect your laptop to your TV, and your audio output to a proper sound system—I did the very same thing for about a year, and it was great—but Hulu’s puppet-masters must know that the number of people who even know how to do that, and then who have the patience to string wires from here to there, are so small that it’s not worth complaining about. But I can still see Boxee’s point-of-view. After all, when you watch Hulu videos in Boxee you’re still subjected to the very same ads as the Firefox people are; you’re not watching anything “for free,” as it were. The presentation may be different, but you’re still sitting through 30-second Ford commercials. And to be even more fair to Boxee, they’ve essentially offered to diffuse the entire situation by coming to some sort of monetary agreement with Hulu that would make its users paying customers. (Boxee isn’t “above” making deals with content providers, nor should it be if it wants to be taken seriously as a “real” company, which is clearly its goal.) 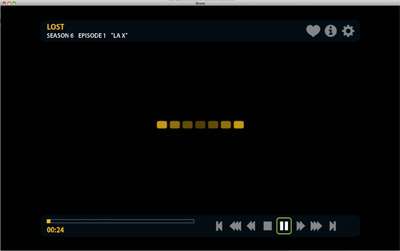 Let’s pick a number out of thin air: $5 per month to watch Hulu content via Boxee. Is that fair? I don’t know, it seems eminently reasonable, putting aside the fact that you’d partially be paying for over-the-air television, which is free, cable-based content notwithstanding. But then I’m sure Boxee users would complain that since they’re paying customers, why should they have to sit through advertisements anymore? But that’s an argument for another day. All I’m trying to say is, I’m pretty sure I understand where Hulu and its backers are coming from vis-à-vis Boxee (and Plex, to be sure), but Boxee seems more than willing to find some sort of solution to this mess, if you can even call it that.